Comment: Gutters haven't been cleaned is several years and water is overflowing in heavy rain. This is a 3-level townhouse with a deck on the second level off the back. Comment: Looking to replace gutters on a 2 story colonial, with leaf guards. Comment: The gutter on the rear of the house has fallen off. I need to replace the strews with longer ones and secure it back onto the house. Comment: I would like to get an estimate for an evaluation of my downspouts and drainage problems on my townhome. We have water troubles that could be from a downspout not draining into sewage properly, or even gutters overflowing (?). This may be causing water to get down under the house into the foundation. Fairfax Gutter Cleaning & Repair Services are rated 4.68 out of 5 based on 1,360 reviews of 23 pros. 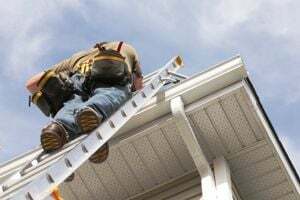 Not Looking for Gutters Contractors in Fairfax, VA?